A powerful yet, practical, and inspirational "how-to" guide on "Overcoming," Jennifer Lucy shares operational insight on how she did just that! Who is she? How is she qualified? She is adamant that she isn't a "doctor" of psychology but life experience. She uses her life experiences of overcoming drug abuse, abortion, low self esteem and sexual sin; along with Biblical principles, to help others who desire to walk in Victory! She states in the introduction, "We all have a different story. You may not have had to endure anything traumatic, but that doesn't mean that you haven't cried from experiencing or feeling some kind of emotional pain. Whether your life resembles a soap opera, you are overcoming low self-esteem, a toxic relationship, a domestic violence situation, a eating disorder, drugs, etc. this book is for you! I am not a doctor, a psychiatrist, or a psychologist! As a matter of fact I am not telling you to stop taking your medicine if a doctor prescribed you medicine for depression or anything else." This book is simply to share wisdom that I've gained from having overcome various obstacles in my life." This book is clearly evidence of someone who simply has a passion and a calling to assist women to be the best that they can be, and are determined to do just that! Some of the chapters you will find are, "What About Your Friends," "I Can't Believe They Did This to Me," and "An Overcomer Activates Their Lifeline." Her language is that of a passionate coach who simply wants you to know and speak these words over your life, "I am an Overcomer in All things! God has given me the Power to overcome any negative situation! I walk in Power and Authority because He has given it to me! I will not Lose! I am a winner who has been named Victorious in all things!" Speaking positive confessions is just one of the practical exercises that Jennifer shares throughout Dried Tears. However, what makes this book unique is that it's also a journal with pages allotted after each chapter for journal writing. She encourages the readers after each chapter to do a journal exercise that helps the reader to apply the Word that they have just learned. After reading this book you feel like you've just had a heart to heart with your big sister who wants nothing but the best for you. 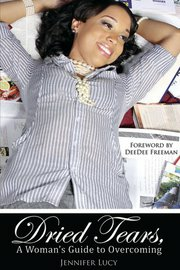 Like a big sister would she's an open book, sharing intimate details of her personal story in the introduction. Her motivation for the transparency is stated in Revelations 12:11, "And they have overcome (conquered) him by means of the blood of the Lamb and by the utterance of their testimony..." (Amplified) You are an "Overcomer," it is now time to walk in it! 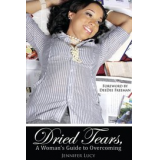 Allow Dried Tears, A Woman's Guide to Overcoming help you to do just that!